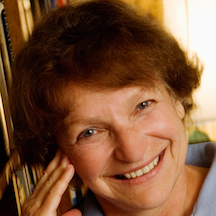 Nina Baym, a professor emerita of English at the University of Illinois and expert on women’s fiction, died in Urbana, Illinois, on June 15, the day after her 82nd birthday. Professor Baym was a native of Princeton, New Jersey, and grew up in Brooklyn, New York. She was a graduate of Cornell University in Ithaca, New York, and earned a master’s degree at Radcliffe College which was later merged with Harvard University. Dy Baym earned a Ph.D. at Harvard University. Dr. Baym joined the faculty at the University of Illinois in 1963 and taught there for 41 years until her retirement in 2004. She served as director of the School of Humanities from 1976 to 1987. Professor Baym was the author of many books including Woman’s Fiction: A Guide to Novels by and About Women in America, 1820-1870 (Cornell University Press, 1987) and Women Writers of the American West, 1833-1927 (University of Illinois Press, 2011). She was also the general editor of the Norton Anthology of American Literature, now in its ninth edition.